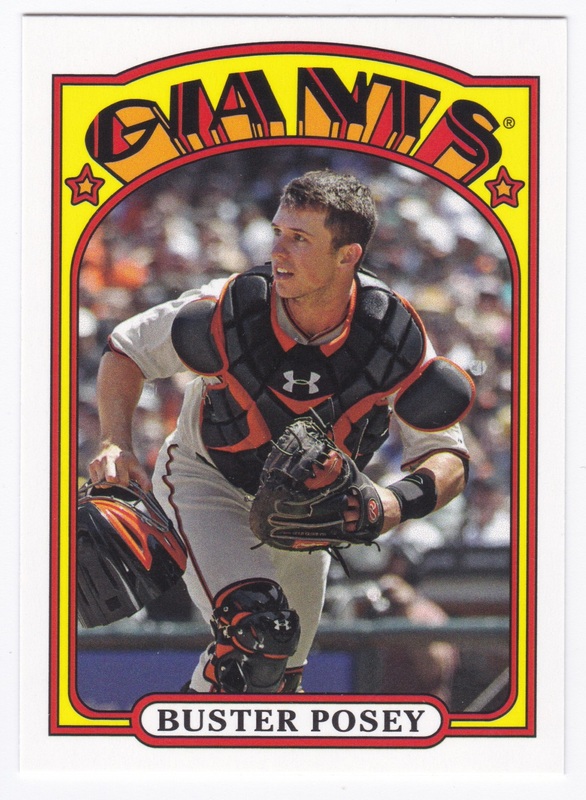 First, I must commend Topps on a solid base design and a solid “base” design. (See what I did there? 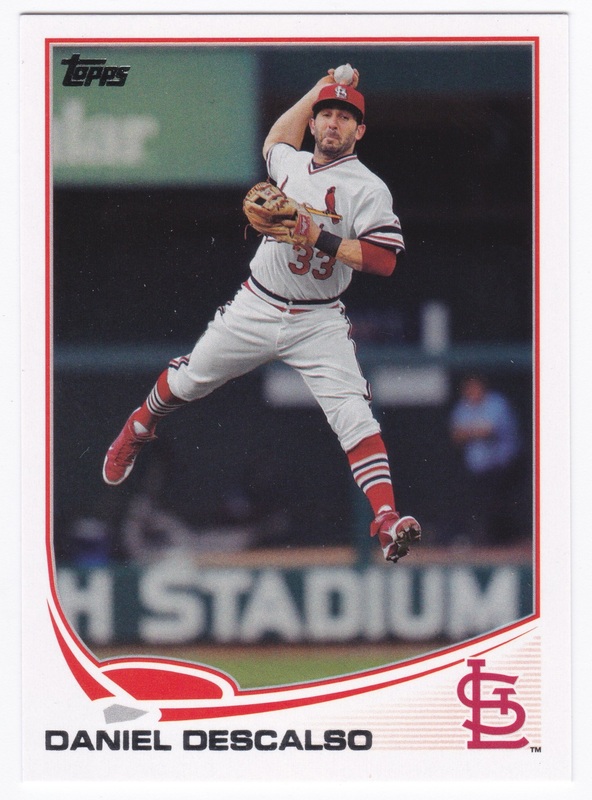 The cards have a stylized home plate on them, so…yeah). 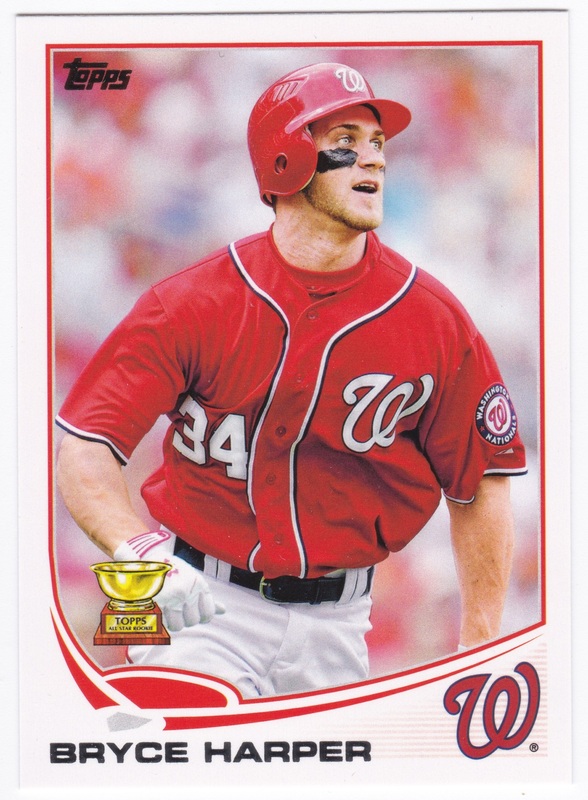 Topps went simple this year: a white border, team accent colors, a team logo, and a stylized baseball diamond. The baseball diamond/home plate is reminiscent of old Upper Deck designs that utlized base paths on different edges of the cards, but is done with a little more flair and in a little bit less of a literal way. The cards really shine, though, because of the focus on photography. 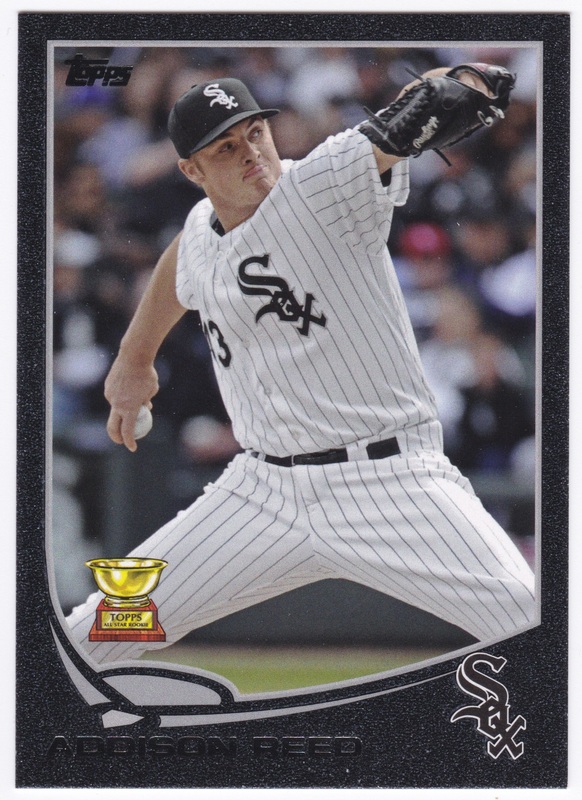 Topps is giving us nice, large action shots, often with interesting poses or catching the players in mid jump or throw. 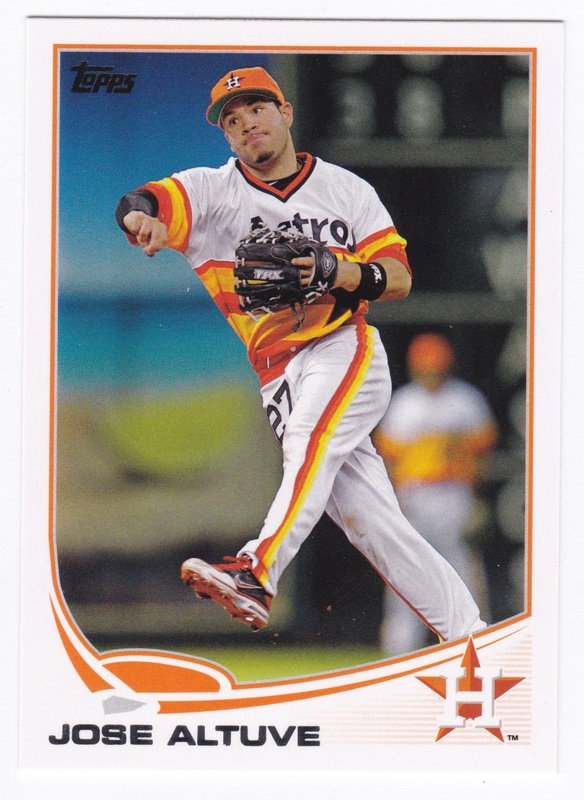 Topps provided quite a few cards featuring players wearing throwback uniforms, adding a little variety to the set and also featuring some cool uniforms from the past. 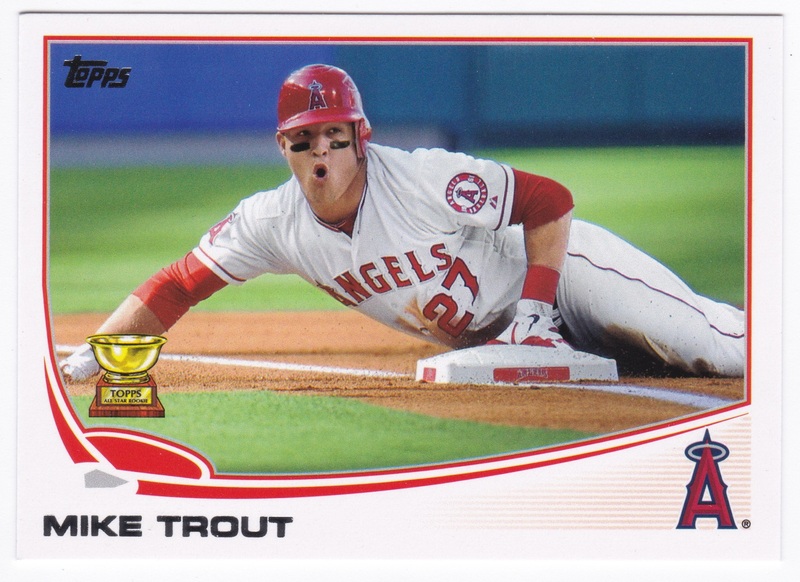 For the first time in a long time Topps has provided me a base design with little to nothing to complain about. 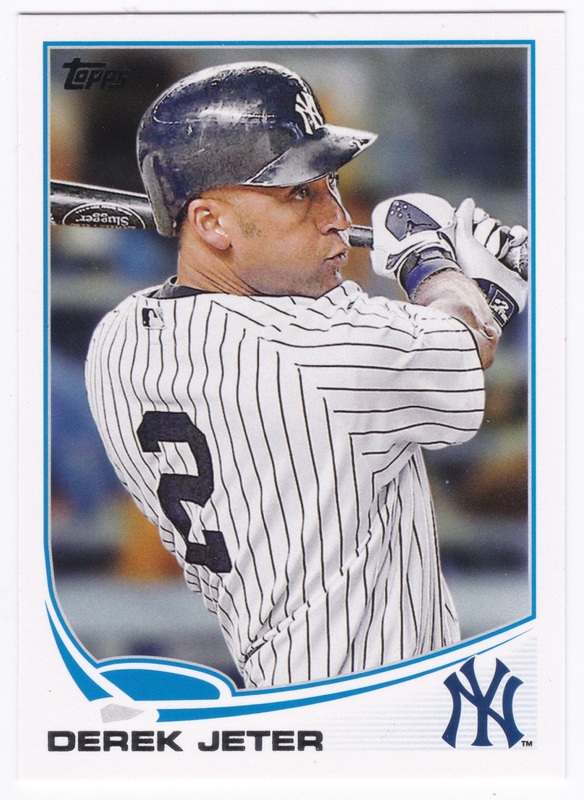 Kudos Topps. 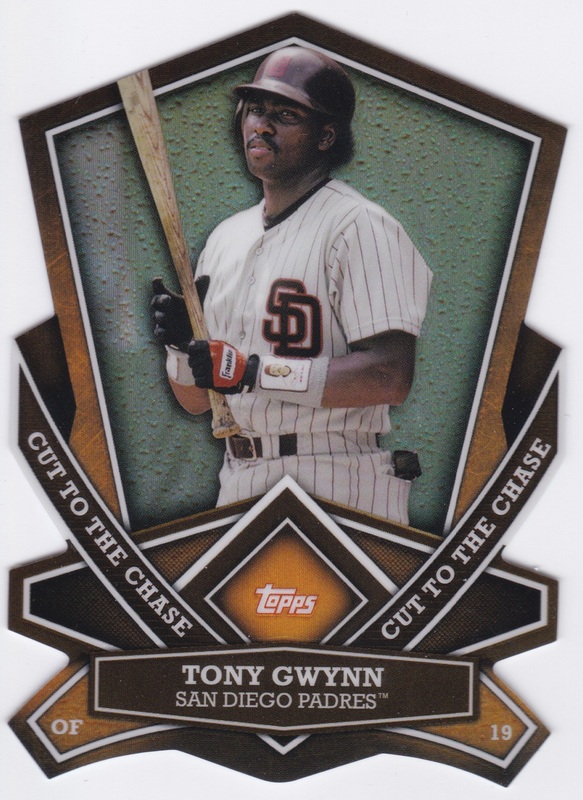 Topps, keeping up their habit from the last few years, gave this set a theme: The Chase. 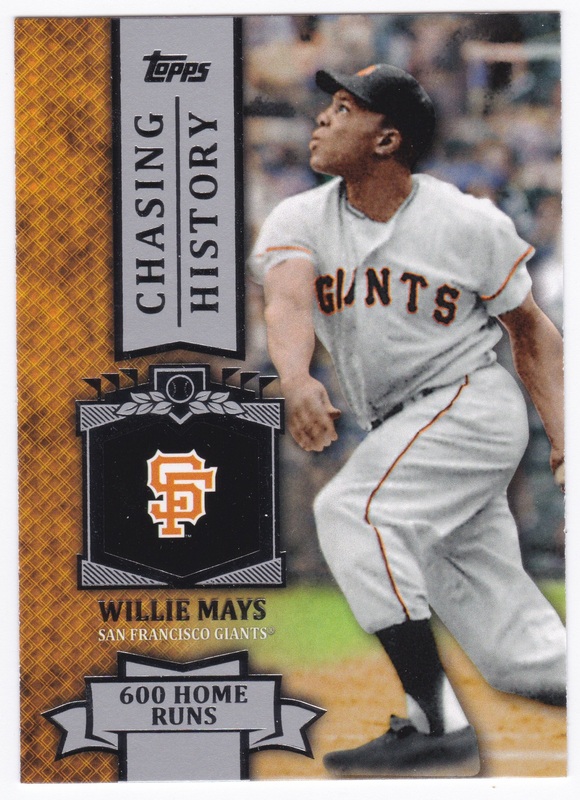 Each cards contains a little blurb about a record that each player is chasing, even if that record does not make sense. 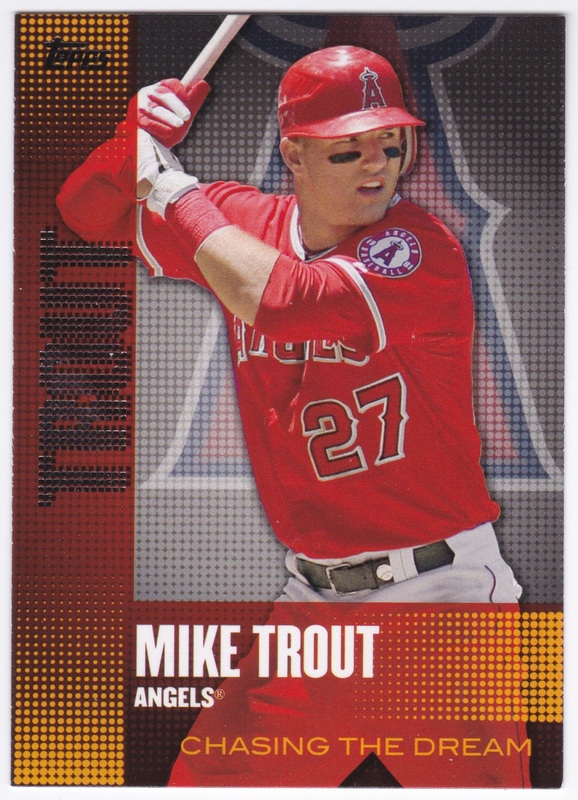 In regards to the inserts, I must again tip my hat to Topps this year for showing restraint. Topps limited the inserts, sans paralells, to only a handful of sets. The most appealing set, to me, is this years mini edition. 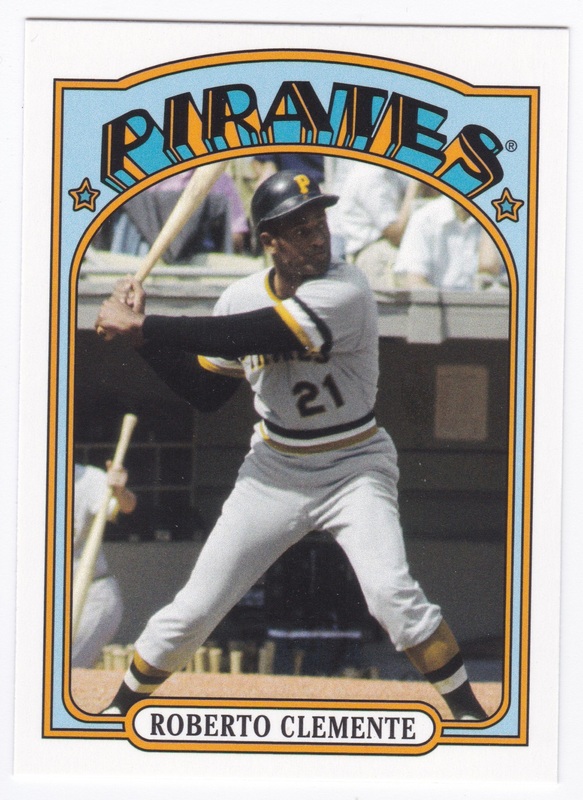 Topps chose the 1972 design, which is a solid design. 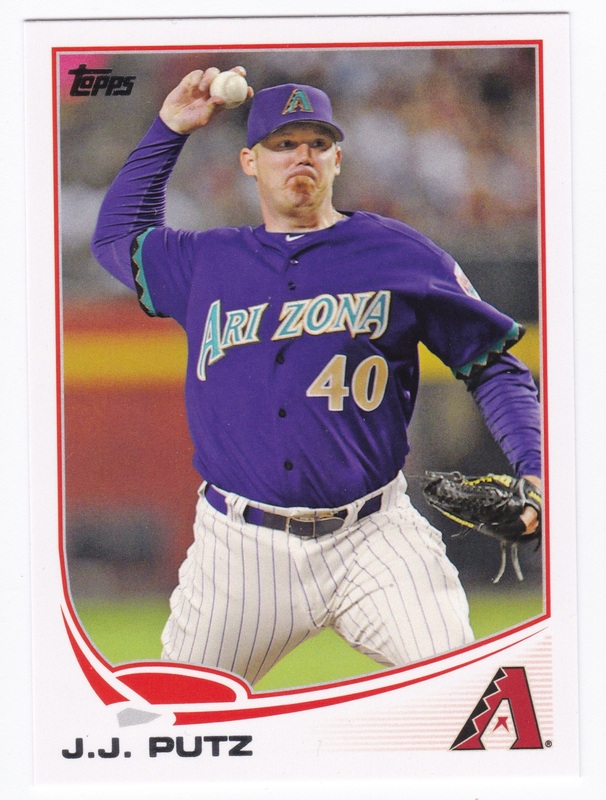 A close second to the minis are The Greats, a thick cardstock set of all-time great players. 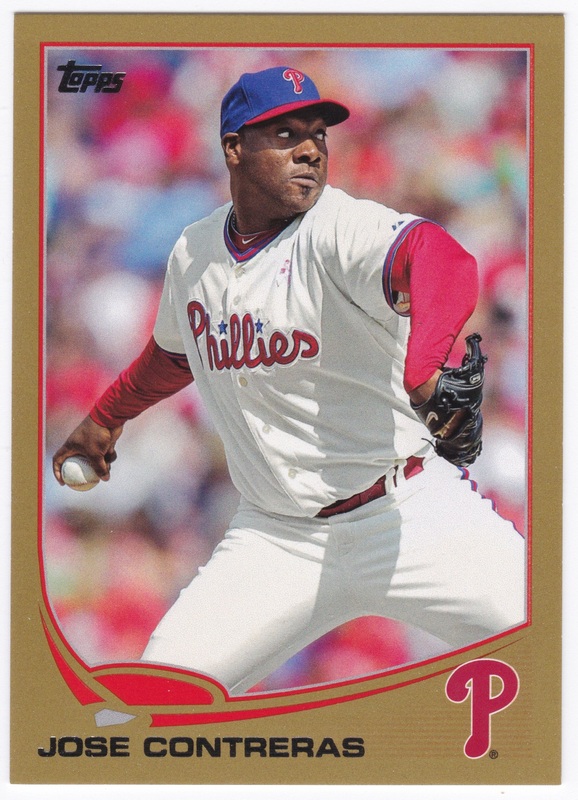 Topps utilized an understated design and inserted them infrequently enough to make them chase cards. I also enjoyed, much to my own surprise, the Chasing The Dream inserts. This set features young up and coming players on some sort of futuristic looking background. While I don’t love the design as a whole, I do love the silver, pixelated text used for the names. 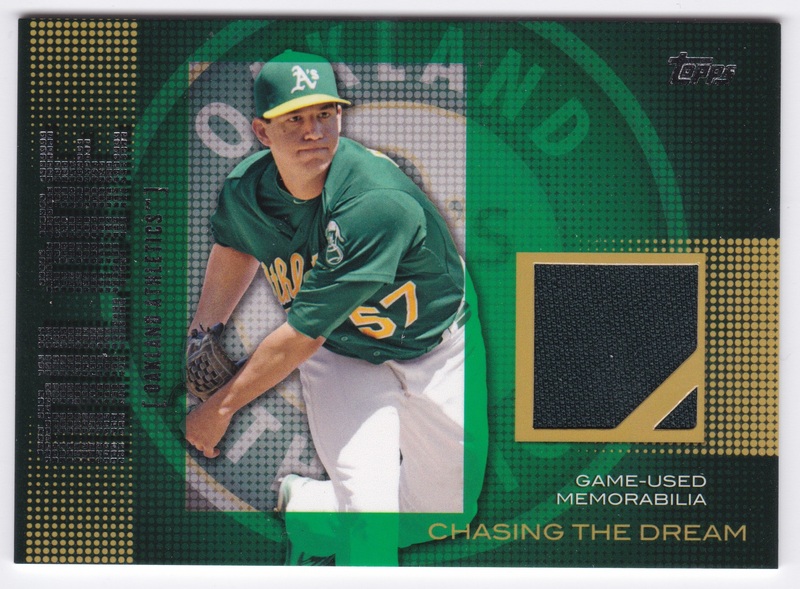 The hit from my box was actually a Chasing the Dream Tom Milone jersey card, which means that Topps has failed me yet again in their base product when it comes to hits. 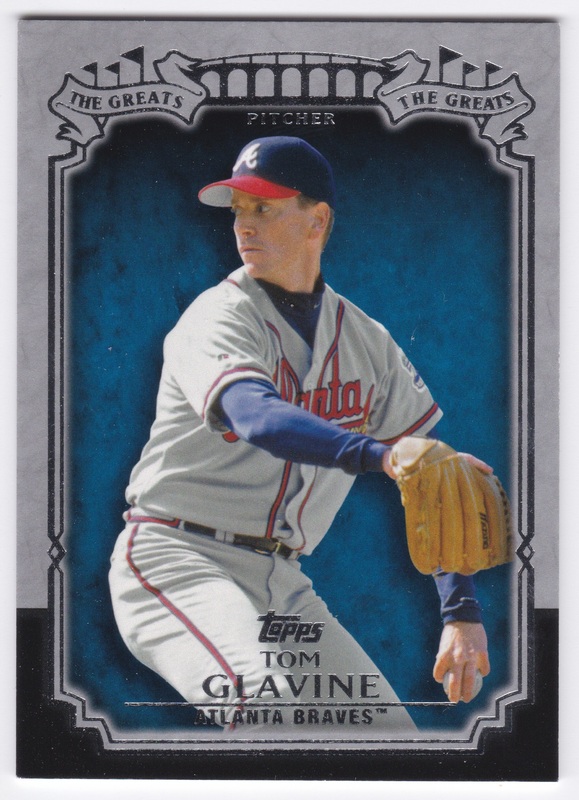 You better hope Tom Milone wins a Cy Young, Topps, otherwise this is on you for including a Tom Milone hit in my box. Jerks. I would like to comment on the autographs, but I can’t because I didn’t get one. An autograph hit should be standard in all base products. 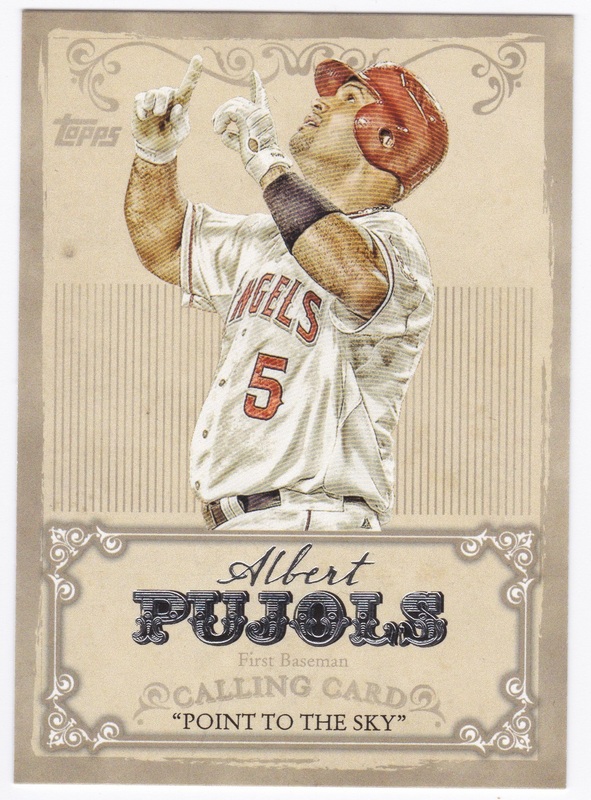 I can accept a relic as a bonus hit, but autographs are where its at and Topps should guarantee one in all base boxes. A Tom Milone autograph, as infuriating as that seems to write, would be much less disappointing than a Tom Milone jersey. Fortunately, Series 1 is selling at around $60 a box, so the pain of a relic hit is tempered by a decent price point. 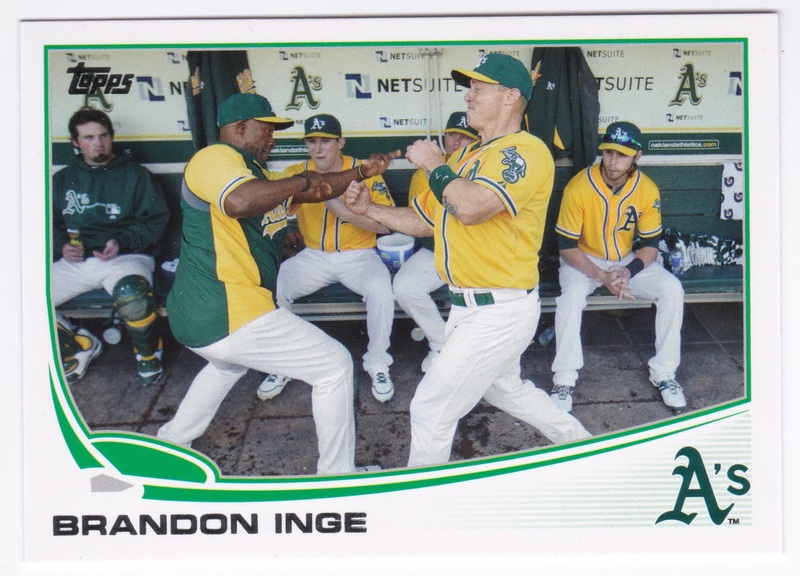 Finally, Topps would not be Topps without parallels. 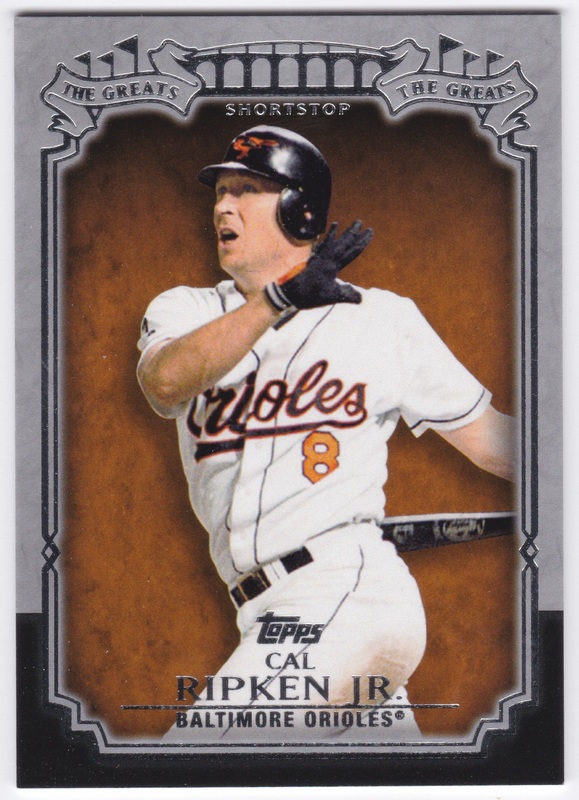 This year Topps is bringing back gold and black and hitting us with a green sparkly parallel that drops at a few a box. Target and Wal-Mart have their store specific red and blue parallels. 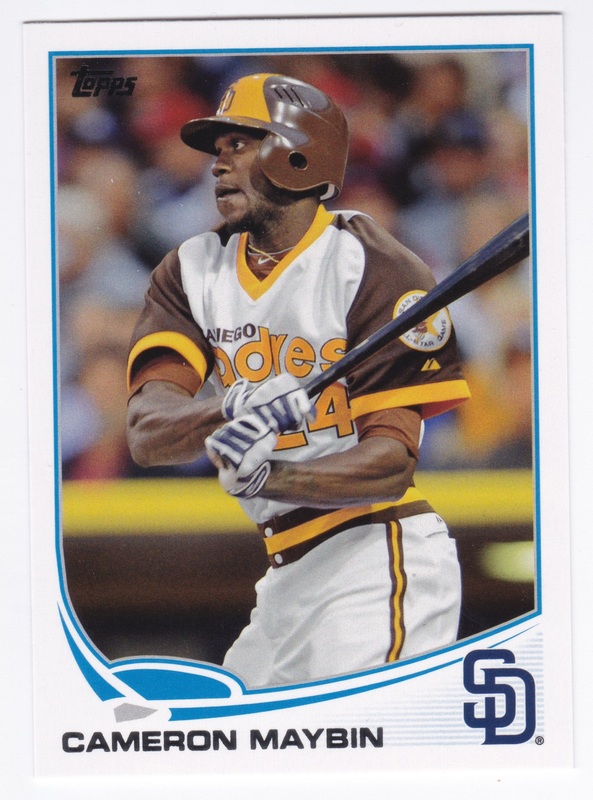 There are also camo and pink parallels floating out there, but they are pretty rare apparently so you can figure that I didn’t see one. There may be other parallels but I’m too lazy to go look, so you do it. 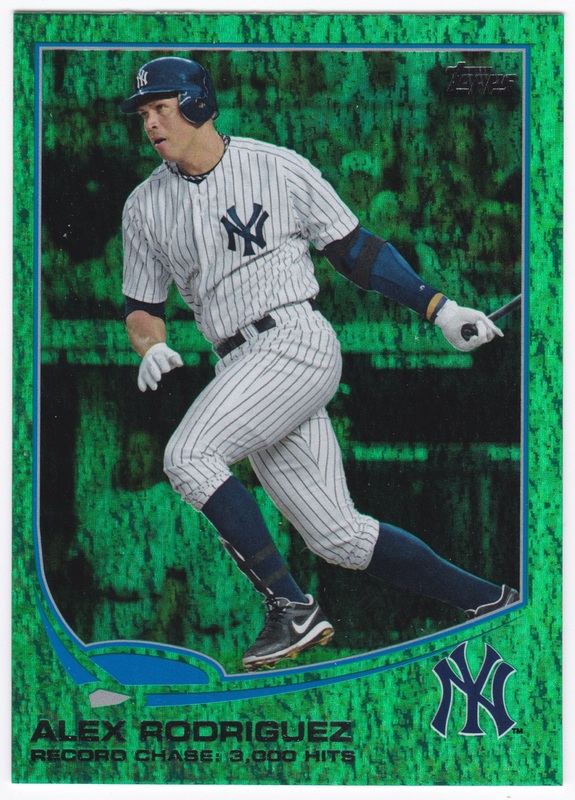 While parallels are not particulary exciting to me, I do appreciate the value they add to a box with blacks going for between $5 and $10 for commons on eBay. 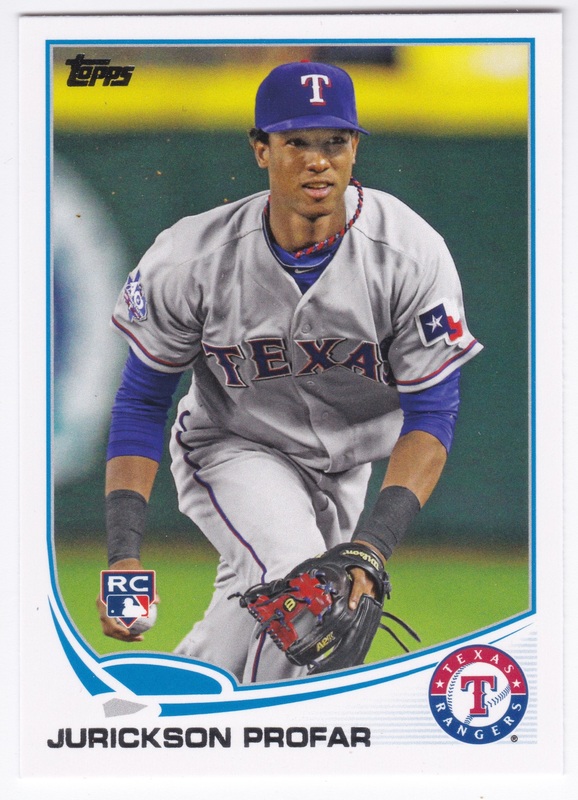 I thoroughly enjoyed breaking a box of 2013 Topps. The cards are refreshingly simple with great photography. I was not overwhelmed by inserts and actually found myself liking them, more or less. The parallels are helping me recoup some of the box cost, though that cost is reasonable. 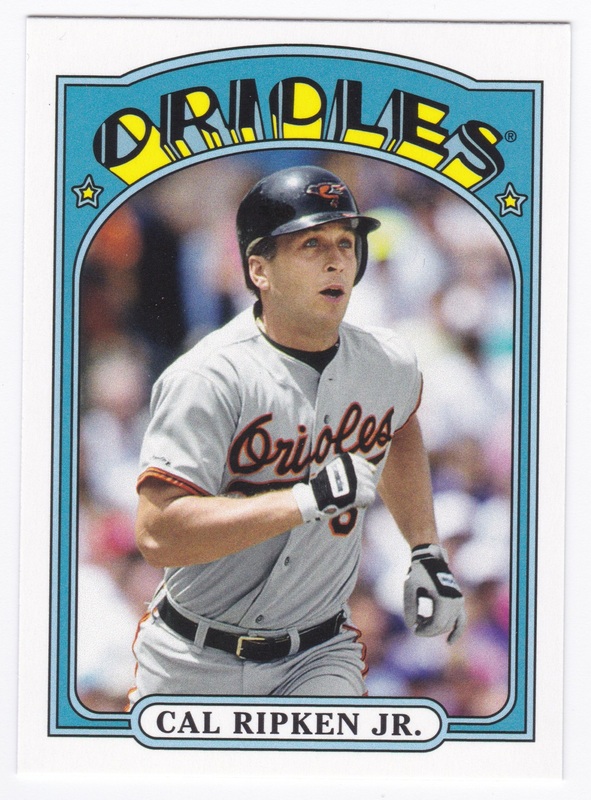 As mentioned above, better hits would appreciated but maybe tough hits are a good thing in the long run. Overall, I am looking forward to spending a year with this design and maybe I’ll even run into an autograph or two on the way. 4/5.